Mike and everyone else are more than welcome to their opinions, but you don't get to choose your own facts. In 1985 Apple sacked Steve Jobs and were considered a spent force, a niche player, and now they are the worlds largest company. Are you all really telling me that Serif, a British company cannot lead to world to become a market leader? Thats why I originally suggested Branson as a venture capital partner, at least he's an Englishman who has never given up the notion he can lead the world, and he stands as an inspiration. Given the subjective defensiveness of the contributors to this thread, the Serif community could do with a very large injection of Branson thinking. Well actually you are a democracy. And the voters are the market. And at the moment Serif is far from a major party, to use the analogy. Unless of course you think Serif is some kind of command economy institution free from the rigours of the market, immune from the thoughts of customers. Real leaders welcome constructive criticism and I've made plenty of constructive points ranging from capitalisation to pricing strategies and a lot of others in between. Smart companies pay lots of money for this type of direct market feedback. Stupid companies ignore this type of feedback through fear it will rock the boat, and upset their little self-aggrandising power structures. Which type of company is Serif? I am at least glad it isn't yours. People said that Apple could never beat Microsoft and blamed Steve Jobs for a lack of growth in 1985 just before the Apple board fired him, and yet now Apple IS THE BIGGEST COMPANY IN THE WORLD!!! You neglected to mention that John Scully, who was instrumental in ousting Steve Jobs from Apple, almost brought the company to its knees after Jobs left. The USA started out neutral but entered the First World War in 1917 because Germany had sunk several civilian vessels, and they only entered the Second World War in 1941 when Japan bombed Pearl Harbor. Lol, I’m not sure how I’ll recover from that scathing attack. Haakoo, rather than deal with my points of substance with rational debate, you instead seemed to prefer I go away and let Serif be Serif, whatever that means. You literally said Serif shouldn’t be a big tree because it’s too windy at the top, and quoted a Dutch saying to back it up. Im not sure that would cut the mustard in any decent business school, let alone an international company. If Serif wish and choose to stay a private firm then that’s their choice. But if they truly wish to grow at some point they’ll need to go public, and list on a stock exchange somewhere to raise capital. At that time, if it ever comes, Serif May well become mine, at least in part, because I may well purchase Serif shares. And then it will become a true democracy too, because it’s fortunes will rise and fall on the stock market. i hope that day comes, because then Serif’s potential will be truly unleashed. Thanks for your positive attitude regarding Serif's potential and your confidence in our future if we choose to go public. If you have buggy products, and bad company management, no subscription based or perpetual license is going to save you. Instead of paying all the money to cloud based companies and network infrastructure, the easiest way would be to set a shelf life to the software, like 3 years. If everyone is doing something, this does not mean it is the only way to go. Like I said, if you had a mind blowing and essential feature in major upgrade, users will want to upgrade. The last few versions of Abode CC just introduced more bugs! Yes, you’re right re John Scully, but that just better makes my point, that Apple rose from the ashes to not only beat Microsoft but become the largest company in the world, so there is no limit to what Serif might achieve, other than the limits its own people put upon it. Re Britain turning to the USA to rescue it in two world wars, WWI is less clear but you may be interested to know that the Atlantic Charter was signed in April 1941 whereas Pearl Harbour occurred in Dec 1941. Churchill wanted the USA to join the Allies in WWII before 1939 but the USA resisted as they didn’t want to be ‘conscripted’ into a European war like they were still a colonial outpost helping the mother country like Australia and Canada for example. Roosevelt insisted that for America to join the Allies, Britain would have to put in writing that America was right in fighting for its independence and Britain was wrong, otherwise Britain wouldnt need the help of the USA, who became the strongest country in the world precisely because of the ideals the British sought to deny the Americans in the War of Independence. Consequently, Britain signed the Atlantic Charter (I misspoke when I said treaty), which Ghandi used after the war to obtain independence for India and Pakistan, as one of the provision of the charter was Britain agreeing to each country having its own head of state and independence from Empire/ Imperial rule. A little off topic but a fact not known by most! @John Gibson You are referring to history and historical events. But you don't seem to be able to get your fiction straight,let alone facts. Haakoo please stop baiting. Make counter points if you want, but that's just a generic side swipe that lowers the tone. You’re welcome. I truly hope Serif does go public at the right time, which is why I bothered to take on this discussion in the first place! I agree with this general point, which I why I am strongly arguing for a capitalisation plan, which begins with some angel investors like Branson and end with an IPO, a stock market float, because raising capital means Serif can do much more in much less time, which at their current standard means they will not be resource limited and be able to produce a whole suite of products with killer features across the board. Im not fixed on a pricing model. Perhaps a 3 year license with a paid upgrade would work. On face value it would seem to raise more money than perpetual licenses. My instinct tells me subscriptions are the way to go, because cash flow is king and as Mike rightly pointed out, that pleases shareholders. I also think subscriptions provide a lot more immediate funding, on the way to an IPO. But my point here is that these subscriptions should be extremely competitive, as part of a first mover advantage strategy, assuming Serif is a first mover in a new world of creative software rather than a late entrant into the DTP market of creative software. For example, Unity 3D doesn’t seem too concerned about Adobe either. With holograms, quantum computing, VR/AR and all manner of creative tech disrupting our lives, the culture and pedigree of legacy-free, quality products is what Serif has on its side. The question remains as to whether Serif can leverage this culture and pedigree for all that its worth? Like designing and creating; "Less is more"
Mr John Gibson could have left it at a single post what his thoughts are but he had to get other things into discussion. My single line reactions are there to point out just that. Being brief is more decent and to the point. Gee, I didn’t realise these forums had a 1 post limit. The points I raise are complex matters, perhaps too complex for a forum community and better suited to C-Suite discussions, but they most certainly are too complex than to be met with cliches. I sense there is an underlying tone to a lot of these comments, which is the notion that seems to extend from a lot of Affinity users here, that they should continue to get something forever for next to nothing ie. perpetual licenses. It seems that in having found a fruit tree that yields continually good harvests, instead of caring for the tree that produces the fruit and seeking to turn that tree into an orchid for as many people to benefit from as possible, a lot of people here would prefer to just keep eating the fruit without any regard for the tree or the perpetuation of the tree into many trees, so to speak. Money is the water of a business tree. Without water, the tree dies. With water limits the trees growth is reduced. My whole argument here goes to the source of money, the source of water for the tree. It’s seems a lot of the concern here is about simply paying (even a little) more money for something you think that you own. The problem here is you don’t. The gardener may own the tree, but it’s real owner is the environment. The gardener may love the tree like no other, but if he runs out of water, no amount of love is going to water the tree. I’ve seen this tragedy of the commons before, in a lot of open source developments which ultimately fizzle out through lack of water - money - to pay for effort, to pay for growth. In my mind perpetual license is only one small step better than open source development, and that is what I am addressing in this thread. Seems Serif is in business since 1987. Probably no problem with the water; the plants would have dried already, I think. And most surely having a different idea about the goals they aim to achieve than your particular ones. BTW, Apple (and not that I love that) shares are falling. Sells are falling. One of the main reasons why prices are particularly increasing, lately. The comments about Britain and the British (out of context, imo) , sorry, but did sound a bit xenophobic to me (I ain't no British, btw). Probably you did not wanted them to sound like that, but they did. And the ones about the US, kind of showing 'a bit' of an over glorified view. Even while I have a very good concept about that country, too. About Brexit, it really saddens me that they get out of the EU. But I would never ever blame the British people (the voting) for that decision: is a very complex issue. As far as I understand it, Serif may have been in business since 1987 but it has really gained traction since 2014 through 2015 up until today as a result of the Affinity products. I stand to be corrected but as far as I am aware, a particular developer had a vision for creating the best creative software without the legacy issues of Adobe et al. So really we are talking about giving unrestrained (by resources) life to the Affinity product range for its growth and expansion. You refer to my water/plants analogy in a baseless attempt to dismiss it rather than going to its substance. So let me ask you directly, assuming there is an annual fee for upgrades and support rather than a monthly subscription (another pricing model option used by a lot of open source commercial developers), would you be willing to pay $100 per year for full year updates and support for the Affinity products? Well, would you? If they were Adobe standard or better, I would - I wouldn't expect to pay $100 for a lifetime, I'd expect to pay $100 per year, each year so serif could properly find upgrades and support without it impacting development cycle time. Would you? Why don't you put your money where your mouth is and tell me here on this forum that you'd stump up a $100 per year like I would provided the Affinity products met or hopefully exceeded the Adobe standard. I note that Affinity Designer commenced in 2013 and was released in 2014 and Affinity Photo released in 2015, but now we're almost at the end of 2018 and Affinity Publisher is still in beta, which is what I'm talking about. Its a simple rule of physics, which I'll simplify - when you double somethings size, you cube its mass. This is why we don't have 40 metre tall ants running around - they'd implode under their own weight. For every product Serif releases, they have to support it, and provide updates when operating system update and so on. Without a more frequent source of income (reinforcing the skeleton of their growth) sooner or later they will reach a certain size they cannot go beyond, or worse go beyond that size and implode later. As it is, we see the development cycles taking longer and longer which is evidence of this phenomena. And thats before we (hypothetically) consider a full suite of Affinity products, the sort of scenario planning I would expect the Serif C-Suite to be doing as part of their strategic planning. 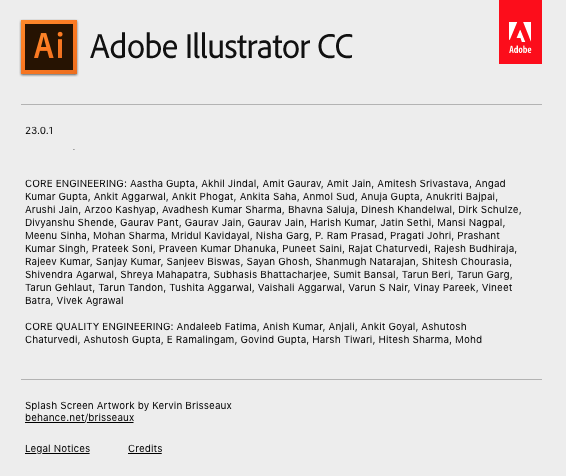 Lets, for arguments sake consider a Serif Affinity suite that contained say 20 fully developed products superior to Adobe. Currently the going price for Affinity Designer and Photo is $54 dollars for both programs (I'm assuming thats AUD$) so I'll work in AUD$ given I'm from Australia. So for 20 perpetual licenses at this rate that's $2200 as a one of payment, a pretty steep barrier to entry I would have thought. Its highly likely people won't risk this kind of cash upfront. The alternative? Obviously, its a function of price vs quantity like all supply and demand questions. So logically, if the price were to fall to say $100 per annum as a nominal price for considering the alternatives, sales volume would have to increase 22 fold and then some, to provide the same top line revenue to Serif. But is Serif was going to support an increase in growth of 22+ times more than its current volume, I'd doubt very much they (or their shareholders and/or financiers) would want to wait 12 months hoping the cash would come in. They would want more regular payment because cash flow is king, at least quarterly and more likely monthly. It's just economics 101 and mathematics 101. I'm guessing Serif is in the Delegation phase currently, fast approaching the control crisis phase, based on the slowing down of their lifecycles. But this model of how organisations develop is hardly my idea given its been around since 1972, and it is universally applicable to all organisations whether you know it, like it, or not. Again, you are welcome to your own opinions but not your own facts! This stuff is business 101, and I note, yet again, this theory was developed at Harvard, not Eton, not Cambridge, not Oxford! I do agree that there are a lot of people that wan't a TRUE/REAL alternative to Adobe, and I'm one of them. And I also agree Affinity has become potentially one of them, which is why I'm bothering to make these complex arguments in favour of a Serif marketing planning strategy to support their growth rather than limit it as it is being limited now. I do not agree with you or Mike that it is "merely impossible" for Serif to do it. As I've already pointed out, most people said this about Apple in 1985 after Steve Jobs was sacked and the accountants took over Apple. Who would have thought Apple would now be the largest company on the planet in 2018. As I said before, the only limitations that Serif has are the limits its own people put upon it. As far as manners go, what a quaint idea. If the American's maintained the European idea of manners, they never would have waged a War of Independence let alone won it. I see no need to be insulting, but when people get on their high horse while remaining ignorant to basic facts, or prefer to disparage someone with informed, progressive and valid viewpoints, simply so they can remain in their comfort zone while everyone else has to tolerate their stubbornness like a handbrake on progressive, rational thinking and growth, they should be told so in no uncertain term. Put up or shut up. Or as Rupert Murdoch, a very successful Aussie, now American business man once put it - lead, follow, or f**k off (which is about the only thing I agree upon with Rupert Murdoch btw). Apple shares may be falling, but they're still the largest company in the world. And why are their shares failing btw? Because their visionary leader is no longer with us, and that's my point. Like Apple's current plateau shows us, visionary leaders are far and few between, which is why I suggested Serif reach out to Branson, but there are other many others, especially in California, so you make my point when you refer to Apple'c current issues. As far as my comments about Britain being xenophobic, well that's just a straw-man. My comments were about the legal, political and historical contexts of a way of life, a way of thinking. The only time I referred to English people themselves was to say that stupid, racist (and I'll add ignorant) Brits voted for Brexit, but thats hardly a British phenomena. There are plenty of stupid, racist and ignorant people in all countries, my own included. Britain has left some very fine legacies for the western world - the Magna Carta defining the rule of law, parliamentary democracy, the industrial revolution and so on, just to name a few. But there can be no doubt that the USA leads the world, as it STILL remains the only country founded on ideas rather than tribes. George Washington could have made himself the King of America or a new Emperor, but he didn't, he gave his gift back to the American people. Even King George the 3rd upon learning of this said words to the effect of "if it is true, Washington is one of the greatest men to have ever lived". If we are talking hardware and software, America leads the world. In fact, look around your house and try to think of a single product that, if it wasn't invested in America, was capitalised and commercialised in America. The USA has plenty of faults, but better them than the Russians or the Chinese from a political point of view, or the old English empire that become so laden with Aristocracy it couldn't defend itself again the onslaught of German fascism without the USA (and its other Allies) coming to its rescue. And I say this in the context of what sort of thinking should be employed at Serif to obtain market leadership - quaint old English thinking, or progressive, imaginative American thinking? And I'm not talking about race here, for crying out loud, I'm talking about CULTURE. If you'd ever been to California as I have, you'd know precisely what I'm talking about. Finally, who else can you blame for Brexit? The only people to blame ARE the English voters and the idiotic Brexit leaders, who all had their own agendas to avoid the scrutiny of the European Court of Justice, and who have predominately moved all of their assets and interests to Europe, so THEY can enjoy the EU benefits, while also enjoying a UK legal firewall. The poor British people have to endure the economic fallout, but the tax-haven preferring English Aristocracy have their bread buttered on both sides! 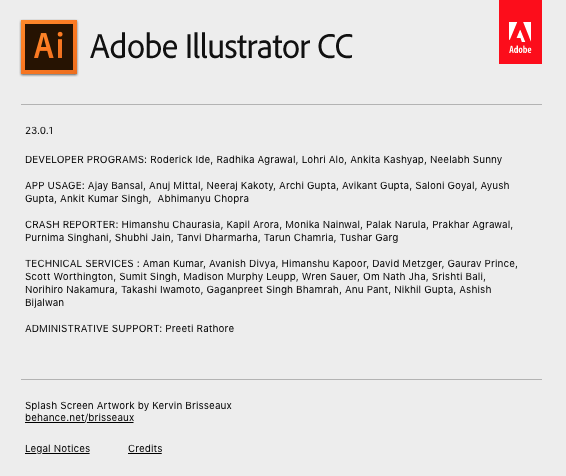 …If you need an exact CC replacement, you won’t find it here and Adobe will remain the industry standard. I say this with great regret - this is NOT a replacement for Photoshop. I just wasted an hour doing something which I later learnt it could not be done. After creating a mask from a grayscale image, there’s a catch-22 where you can’t LOOK AT the mask while adjusting the mask image. This is due to the overzealous nature of Affinity’s non-destructive workflows. I can either view the mask image run all of its glory, but God forbid that I adjust its brightness/contrast while seeing the image. No, once I try to apply as adjustment mask to the layer mask, it snaps back to the whole picture. This wouldn’t have been an issue if Affinity provided a way to directly adjust a layer destructively, or if it was better considered when the tool was designed. Nevertheless, I just wasted an hour of pulling my hair before getting an honest response from a moderator from Affinity forums informing mer that this is a limitation on the tool. Then I went back to Photoshop and did exactly what I wanted to do in under 10 minutes. Overall, its a great app, at a very reasonable price. Just not worth the risk if you’re on the clock and you’re expecting that this tool can do everything Photoshop can, and then waste your precious time only to find that the very thing you’re trying g to do is not supported. I feel like I just paid A$80 to provide BETA testing to Serif. These review pretty much sum it up for me too, as it currently stands. I welcome your free speech and your views, even though I disagree with much of what you have said, at least you've had a go! Yep, we certainly disagree, it's increasingly obvious to me, in mostly every point. But that's not an issue, at all. I respect your reasoning. I find though, that a lot of what you see as facts, are more in the land of the opinions, too, but we are not going to agree either on that, I'm afraid. And that's perfectly fine, as well. Still... I have certain personal curiosity, and is not the very first time it happens, as neither is the first person reaching here with these POVs (which I am not demonizing. It's interesting hearing people's opinions, whichever they are).... My question is... You seem to really give a lot more value, and the crown of the professional tools (set of tools) , even the right business model, to Adobe CC's entire suite. So, ...Why not just keep using it, if it is so perfect ? (or even if they were at a 70% of your ideal model) I mean, with your views on the matter, I don't see the practical point of all this, and I understand way more the reaction of "crawler87", in that review. That is, this person just immediately went back to Photoshop (is what I do with a ton of software I dislike, those never pass the first hours of trial testing). Because, you know, perfection just does not need anything else, and you even prefer the subscription model, so, all good. Why don't you put your money where your mouth is and tell me here on this forum that you'd stump up a $100 per year like I would provid﻿ed the Affinity products met or hopefully exceeded the Adobe standard. I have paid many thousands for purchase-only software in the past, and its updates. Even more, I have even done so with way more money for causes you perhaps would never even believe... Am not a cheap guy when I see it's worth an investment. Anyway, it has become increasingly clear to me that with enough effort and skill, I (and I mean me, not everyone, be it average joes or pros) can use even some instances of open source (there's a huge variance in quality there from one solution to another, there's the great, the average and the terrible. But trust me on that the great is there, too. ), and a lot of commercial mid-cost, to a professional level that before I was only skilled enough to do with the major tools (It's WAY EASIER!) 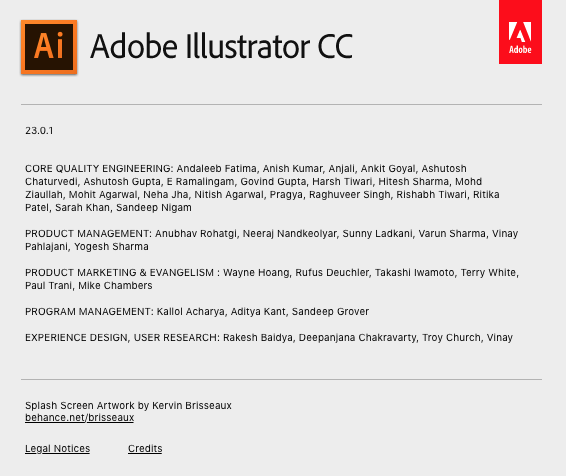 : Adobe's and Autodesk ones. Happily, that has changed. And BTW, am a very seasoned professional in a bunch of (graphic content related) fields. You could put that in doubt, and there would be then no way to continue the debate in that matter (as not gonna provide the proofs or any personal data). But not only that about certain type of software... I have worked at companies where, not because of the money, but because of company owners' principles, (and in other ones, for money reasons), it HAD to be open source (in reference to your comment about open source). And I was able to deal with all the printing, web design, video editing, 3D modeling, and etc, for the entire company in several cases using solely open source. Freaking darn hard, but not impossible. There are also tons of business that make a single commercial application, and do enough (even a huge load) money to achieve own personal goals of the business owners, and have a happy life. Whether it matches an ideal model for business' maximum success or not, it wont be as crucial if the founders got what they actually needed or desired. I was not arguing that for an infinite growth, your suggested methods aren't the right ones : I was not really getting into debating that. But really, not looking for debate in all the other points either, as I realize we are too far in our points of view to find common grounds (sadly). I'm solely curious about why don't you just keep using the Adobe CC suite. And is a sincere question, no sarcasm involved or anything (actually, none was really involved in any of my statements or comments). 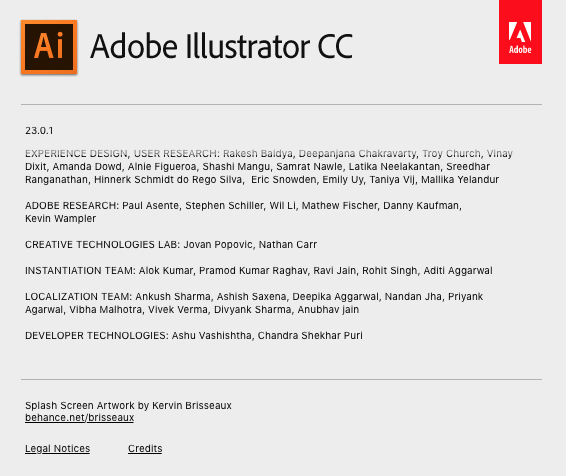 I'm genuinely curious, as, carefully reading your words, you seem to really see all sort of virtues in Adobe CC (or at least, way more than in Serif's offer) , not only in the technical aspect, also in its business model (and so, future perspective) , and even it its renting system. I mean, if I had those views, I wouldn't even waste a single neuron impulse in even one only post here... I mean, what I don't get is the motivation for it... Your points, I understood them well, I might not agree, but they are well explained....(which is quite, as English is not my first language). You, sir, are apparently spending too much time at the keyboard, and far too little contemplating the tone of your remarks. You are surely making other Americans, such as I, cringe with embarrassment. Have anyone used the latest latest version of Illustrator? You will know what I mean. All I am pointing out here is that Adobe is producing buggy programming in the last few versions. The group of engineers on the screenshots should felt ashamed of themselves. And John Gibson, why are companies made to pay for subscriptions and pay for wasted man hours with such "irresponsible" company? I too respect your position, as you have at least tried to deal with the substance of my rationale, where others have seem to get caught up in childish, emotional responses without for one second contending with my reasoning, whether it be my premises, arguments or conclusions, usually because they don't have a valid counterpoint, just hurt feelings because their filter bubble has been popped by an insurgent thought. I congratulate you for not being that way, for being made of sterner stuff, good job. We can agree to disagree re the points, but I hope that I am right and Serif rises to the challenge to contend for market-leadership, which goes to the substance of your first paragraph, which is why am I doing this, why not still use Adobe? Well in answer to that question, I still do. And I pay almost AUD$80 per month for it. But I wish that I didn't have to. I wish there were an alternative hence my positions put on this forum. Why? Well because I was outraged when Adobe bought Freehand and then discontinued it, even though it was far superior (and still is) to Illustrator. I was and still are outraged that Adobe persists with properitory standards like flash rather than embrace open source, industry wide, peer reviewed and democratic standards like HTML 5 for example, much like Steve Jobs hated Adobe for this too. This means of course lots of time wasted when you use a product like Freehand or more recently Edge Animate only to find your files are made redundant over time, the time you invested in workflow and product knowledge development goes out the window, and you get more or less put back to square one from time to time, DESPITE the majority of Adobe users expressing their strong views not to abandon well loved products. At the time re Freehand, I didn't know a single designer who thought Illustrator was superior to Freehand, many of who wrote to Adobe to plead with them, who instead were completely ignored and we are still paying the price for that decision in terms of extra complexity, more obtuse workflows and the like. Then there is the outrageous monthly subscription fee which is price gouging monopolist pricing policy that almost everyone condemns. As you know, I have no problems with subscriptions as a pricing model, but I do have a problem with anti-competitive, monopolistic, opportunistic pricing in which ever form of pricing regime it is applied with, be that a subscription or a single price purchase, or any other. Another example is that scumbag Martin Shkreli who raised the price of a 60 year old medicine that he acquired the ownership rights to by 5000% and is now in jail for insider trading - let him rot there! I could go on as there are a number of other reasons I despise Adobe, but as you say, for practical reasons, namely network effect reasons (everyone else uses it, my employees, clients, suppliers, etc), I have no other choice. Perhaps Mike is and others are right when they say words to the effect of "its too late now", a bit like the QWERTY keyboard, where there are other keyboards that have been scientifically proven to be more effective, yet the network effect of the QWERTY keyboard sees being entrenched as a standard, until of course we have direct mind link to a new product which I'll call "Think Words Into Your Computer" and the QWERTY keyboard will be toast! I don't think the creative software industry and Adobe's current leadership of it are nearly as entrenched as the QWERTY keyboard. Steve Jobs showed with the iPhone and iOS that when you provide a paradigm shift in user experience and ease of use, you can disrupt even the most entrenched markets. And that will be what the "Think Words Into Your Computer" Company will do to put the QWERTY keyboard out to pasture when they finally come along. Serif has a far lesser task to eclipse Adobe, as Adobe is like a huge ship, slow to move, committed to a course, with product vulnerabilities like the Titanic and a lot of people like me baying for a REAL/TRUE alternative. When I say "put your money where your mouth is", I mean tell me how much you would be willing to pay a year for Affinity Designer/Photo/Publisher beyond its current perpetual price of AUD$165 (assuming Publisher is also about AUD$55 when its stable) and how much would you pay per year for an Affinity version of Adobe CC with 20 software products? I respect the fact you have invested and trialled lots of other software. I take you at your work you are an experienced designer/software user with real experiences. I too have to work with substandard software and open source products (like Wordpress for example) because everyone else does, or because a client does and so on, so I understand these dilemmas which you raise. Re my facts being "more in the land of opinions", well of course you are welcome to your view, but we have to start somewhere. I mean we could go back to philosophical first principles of idealism vs. realism to argue this whole reality is just a figment of my (or your) imagination and nothing is real. 2+2 does not equal 4 because its just in my imagination (or yours) that it does. So where are we to start and stop when rationalising? Is climate change real? Is all mainstream media "Fake News"? Do we really wan't to abandon relative rationalism to the point the we retreat to the Dark Ages and a world of leaders like Donald Trump? Given this relative choice of rationalism, I choice Kant's Categorical Imperative, as a pretty good starting point, as an enlightened starting point, like most scientists do, though I am sure they are better at it than I. Most business theories and models suffer this relativity issue, like economics which at best a pseudo science, and yet these tools evolve and are still better than guessing when it comes to complex human - business, money, resources, social - problems. The Evolution and Revolution of How Companies Grow is one such model. And yet, its been pretty darn accurate so far. You are quite correct in saying that there are many single product or small range product companies that succeed, excell and do very well for their customers, staff and shareholders, which is a given, as there are Market Leaders (only 1 typically in any mature market), Secondaries (companies who could lead but probably won't), Contenders (upstarts that could be Secondaries and are an outside chance to lead) and Also Ran's (the typically SME's you refer to). If serif wishes to stay that way, well time will tell and these comments of mine will be moot. The context of my comments in this thread is about a pricing strategy, a capitalisation strategy and a market leadership strategy for Serif to contend with Adobe to become a market leader, knowing as we all now do, that there is a very fluid dynamic in the creative industries market, which Serif could take advantage of if they adopt a leadership strategy to do so. For example, quantum computing is around the corner perhaps 10-20 years away, so for anyone to say the ANY software markets are now mature and therefore these matters are settled (ie. no-one can beat Adobe) is akin to the same tripe I heard about Microsoft in 1985 when Apple sacked Steve Jobs. People who say these types of things (and I'm not saying this is you) typically lack imagination, historical understanding and market leadership understanding and avoid rationale debate for something more like akin to diatribe. So rather than admit they are out of their depth, and that these matters are beyond their imagination, they wish to limit everyone else to their low level altitude thinking. Well, I'm sorry, the world doesn't work that way. Steve Jobs didn't give up on market leadership aspirations and neither should Serif. I have a few other questions but I'll stop there for the moment. Let's see if the Serif community or at least those bother to read this post, can answer those questions for Serif's benefit, or whether they are too busy eating the Serif fruit to care about the Serif tree and a potential Serif orchard? LMAOROTF, There you go again with your glib, paternal Baby Boomer notions of how I should think and what I should do with my time, without addressing even a single counterpoint I made to your previous post. You were so embarrassed by me handing your hat to you in regards to your (Winnie The) Pooh argument, that you were thankfully relieved when the moderator split this post away from the Introduce Yourself thread, lest you suffer the indignity of the new entrants to the Serif forums reading your antediluvian post. And yet you return here, to offer me your Sir and your 2 cents of paltry riposte, which is more to be pitied than despised. How about some serious counterpoints Jim. I remember so many know-it-alls in 1985, who uttered words about Microsoft and Apple, in a manner similar to your previous post here about Serif, so excuse me for holding you to account with forthright arguments and rationale, however much you dislike them. And as far as your American cringe comments go, get off your high horse! You're obviously not a Californian when you say things like that now are you, lmao! I'm guessing you live in a fly-over state somewhere, or perhaps in the British back-blocks of Boston Massachusetts?!? And remember, freedom of speech at its essence includes the right of reply, which you should fundamentally understand as the American you purport to be, so try not to be too hurt by my latest reply to you, why not instead stick to the substance of the points at hand? To be honest John, I chose to split this off because I wanted it to have more visibility, rather than less, (that is a long thread that most participants here will ignore notifications of after a bit) and give this discussion air to breathe. Nobody petitioned anyone that I saw, and I think none of this belongs in an introduce yourself thread. Well gbjack, good on you for outing the Adobe incompetents, but I'm not sure the point you are making regarding me. I agree with you that Adobe is a monopolistic price gouger without conscience or considerations for their vast user base, so you've made my point in part here. Just to clarify for everyone concerned, subscriptions comprise just 1 of approximately 55 different TYPES of pricing strategies, that I am aware of. Whether they do it with subscriptions, annual update, service and support payments or with any of the other 55 types of pricing strategies is a meeter for Serif, if they do it at all.